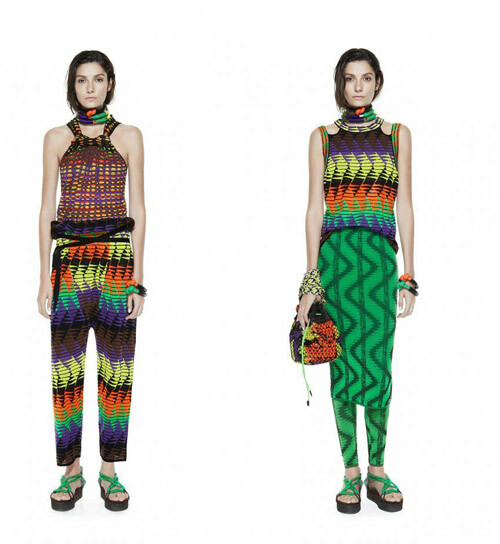 The M Missoni woman goes on a colorful safari journey for the label's Spring-Summer 2014 collection. A color palette of vibrant greens, sky and cobalt blues, turquoise orange and fuchsia set the tone for a cool outing of relaxed silhouettes. Dresses fall above the knee with ruffle embellishments. 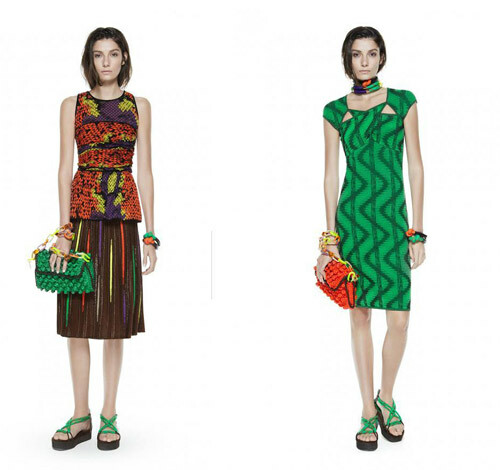 Prints evoke the hues and sights of a jungle with rich floral and fauna tones. 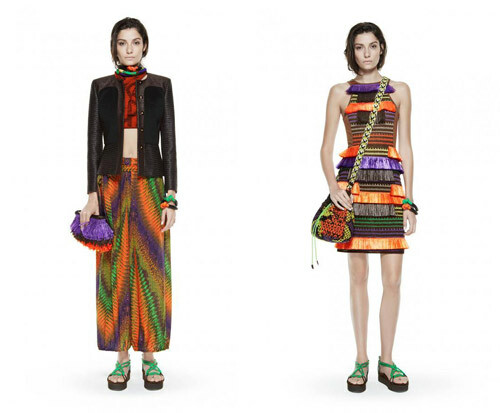 The M Missoni woman accessorizes her look with decorated clutches and platform sandals for the upcoming spring. 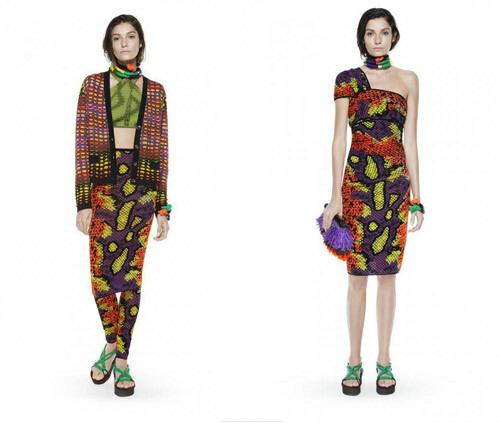 The entire collection was made up of elaborate prints in jungle-inspired hues like electrifying oranges, vibrant purples, forest greens and palatine blue. 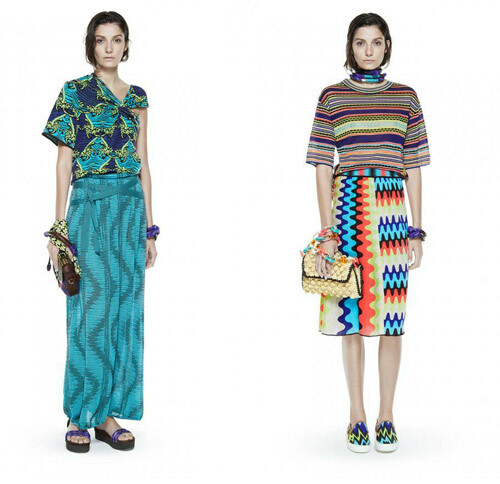 The eye-catching prints look almost kaleidoscopic, leaving the collection with a light-hearted, youthful flair. The collection features a more relaxed tunic shape and a lot of the pieces were layered for a casual, bohemian effect. 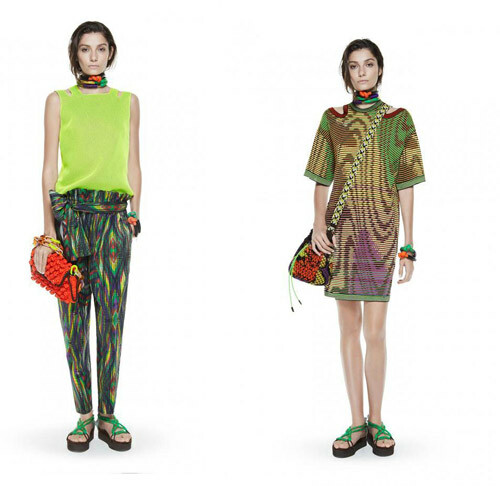 The mix and match prints offer an eclectic and adventurous collection fit for the Jungle.